Edna Mae Munro, 74 of Lake City, passed away on Friday, August 31, 2018 at her home. She was born in Miami, FL, the middle child of three to the late Delmar Earl Brinson and Betty Jane Marlow Brinson. 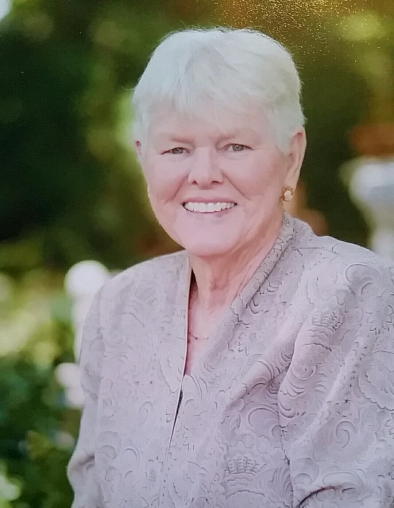 Mrs. Munro had made North Florida her home since 1975 having moved to the area from the LaBelle and Ft. Myers area. She was of the Baptist faith and a member of Tabernacle Baptist Church. Mrs. Munro enjoyed painting, ceramics, quilting, working in her yard and spending time with her family. She was known as a mother to all and enjoyed helping people when she could. Survivors include her husband of 53 years, Lamar Thomas Munro, Lake City; five children, Lee Russell “Rusty” Munroe, Lake City, Delmar A. Munro (Betty), Fayetteville, NC, Marlow M. Hinrichs (John), Lake City, Betty Sue Sweet (Wayne), Pensacola and Shalimar Lynn Drew, Lake City; eight grandchildren and 6 great grandchildren. Funeral services will be conducted on Thursday, September 6, 2018 at 2:00 PM at Tabernacle Baptist Church with Pastor Mike Norman officiating. Private interment will follow at Forest Lawn Memorial Gardens Cemetery. Visitation with the family will be one hour prior to the service from 1-2:00 PM at the church.